Is Cable finally running out of fuel?! On the 4-hour timeframe we see that a couple of reversal candlesticks have just materialized and Stochastic is showing a bearish divergence (it’s making higher highs while price is making lower highs). If you’re looking for a chance to jump in on the rally, this may just be your chance! We could see a pullback to 1.5400 where the 50% Fibonacci retracement level, trend line, and previous resistance area coincide. Would you take it? Awwww, snap! EUR/JPY is still stuck in a consolidation. 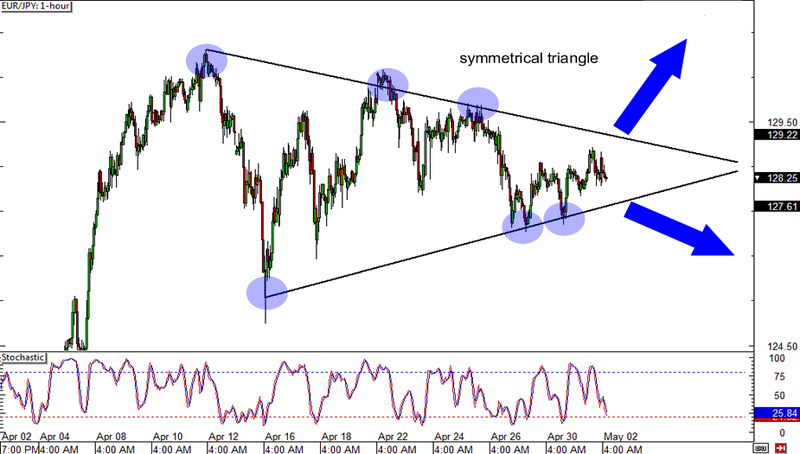 On the hourly timeframe, a symmetrical triangle has become apparent. If you’re bullish on the pair, you can look for an upside break somewhere around 129.50. However, if you have a bearish bias on it, a strong close below 127.50 could signal that the pair is on its way down to 125.00. 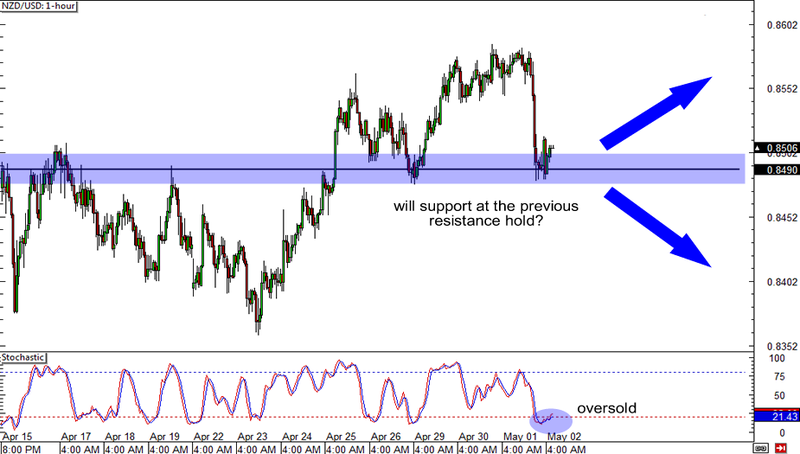 Will the Kiwi pull off an R. Kelly and bounce-bounce, bounce-bounce off the previous resistance area at .8500? What do you think? 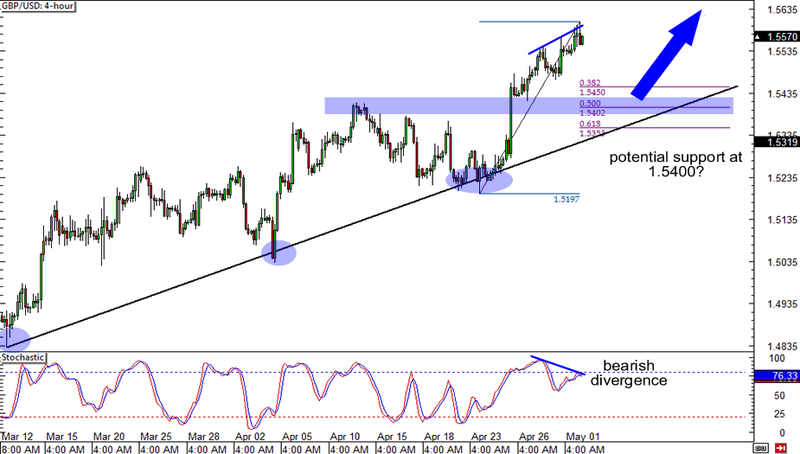 NZD/USD is currently testing the level and Stochastic already indicates oversold conditions. Be careful not to get too excited though! A strong bearish close around .8470 could mean that we’ll soon see the pair drop to around .8350.